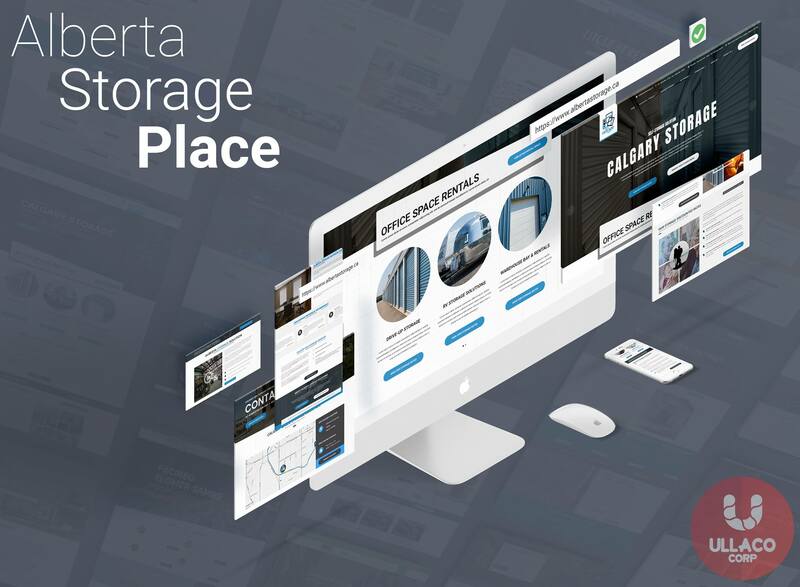 Ullaco Corp recently designed, developed and implemented a Premium website for Alberta Storage Place or otherwise known as ASPL in Calgary. As part of this project, we had to custom build an API WordPress plugin that successfully integrates with their current Public Self Storage management software called Sitelink. At first, this project was pretty straightforward, collect information form Sitelink (Public Self Storage Management Software) and deliver it on their stunning new Website Design. As we dove into this project we realized that this Self Storage API plugin integration is a bit more sophisticated and complicated as originally thought. However, this project was a huge success and once again Ullaco Corp would like to give a big shout out to Sitelinks phenomenal customer service and the client (Alberta Storage Place) for going the extra mile. A key advantage we have with our custom built Sitelink API is that it’s built and Optimized for the WordPress platform. At Ullaco we specialize in building custom High-Quality Websites on CMS based platforms like WordPress. A regular question I get asked by our clients and potential clients is why WordPress? What makes WordPress so special? The Answer, Simple! WordPress boasts one of the biggest Online Communities of any Content Management System on the market. That’s especially beneficial when developing custom Website plugins, themes including API Integrations. The second reason for using the WordPress platform would be the ability to efficiently change Website Content on the go. We use Premium Website Development Plugins on all our WordPress platforms. This allows our clients to access, change and update their Online Website in no time. Our Sitelink API WordPress plugin allows any Public Self Storage facility to easily connect their Sitelink Management Software to their WordPress website. Now here’s the plus side, you don’t need a WordPress site for us to connect our Sitelink API with your Website. Our in-house Calgary-based Website developers can implement our Sitelink API on any website. With that said, we also have a mailing feature that can be configured with Sendgrid. Having the Sendgrid integration allows for easy active email management. First of all, Our Self Storage API allows the user to either use our default storage images or alternatively, they can upload their own custom storage images. Second, Our Sitelink storage API allows the user to add custom descriptions on all storage units that set to display on their website. Fourth, Our Self Storage API automatically comes with a custom contact form integrated with either PHPMail or SendGrid.